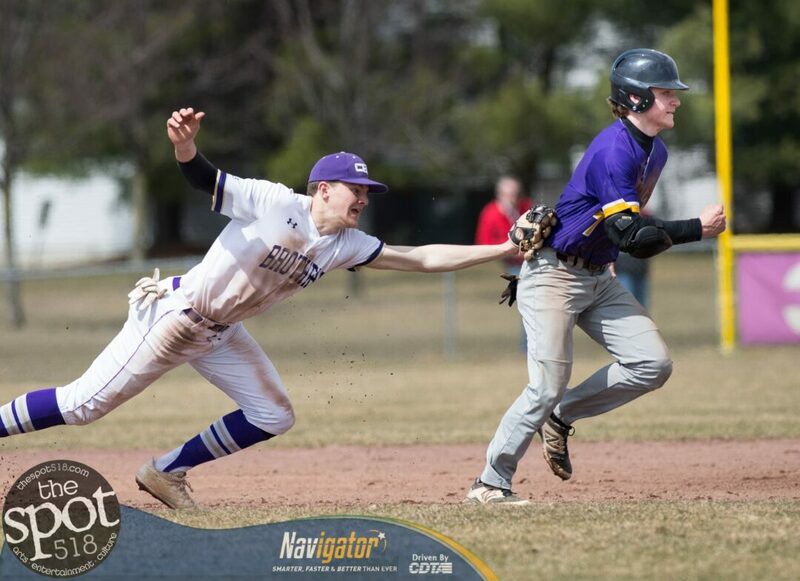 COLONIE — CBA won its home opener on Saturday, April 6, by shutting out Troy 4-0. Michael Hicks went six innings for the Brothers, giving up four hits and no earned runs while walking one and striking out one. Zach Konopka came in to close it out in the seventh and allowed one hit while walking one and striking out one. Will Alderisio and Peter O’Toole went one for three with a double each while Sonny D’Antonio, Jack O’Leary and Tyler Ratalsky-Fort each had a single. Michael Kennedy and Mervin LaBoy split the duties on the mound for Troy, giving up four earned runs on five hits, while walking four and striking out two. LaBoy also went three for three. CBA will play at Albany on Wednesday, April 10, at Amsterdam on Thursday, April 11 and then back home against Averill park on Friday, April 12.